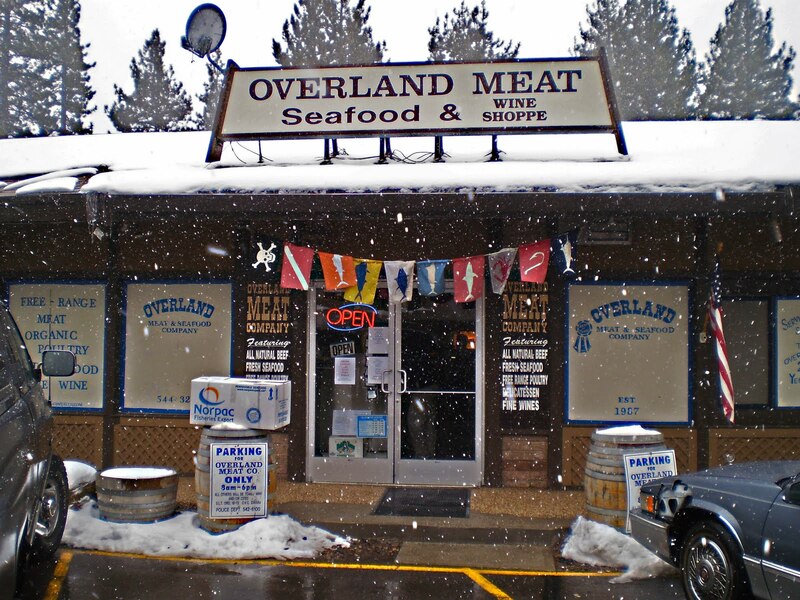 “Overland Meat & Seafood Company is located in beautiful South Lake Tahoe California. 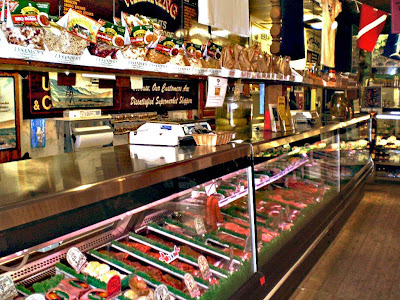 They are a phenomenal place to find fresh fish and custom cuts of meat. They carry free-range meats, organic poultry, seafood and they also have an extensive wine collection. 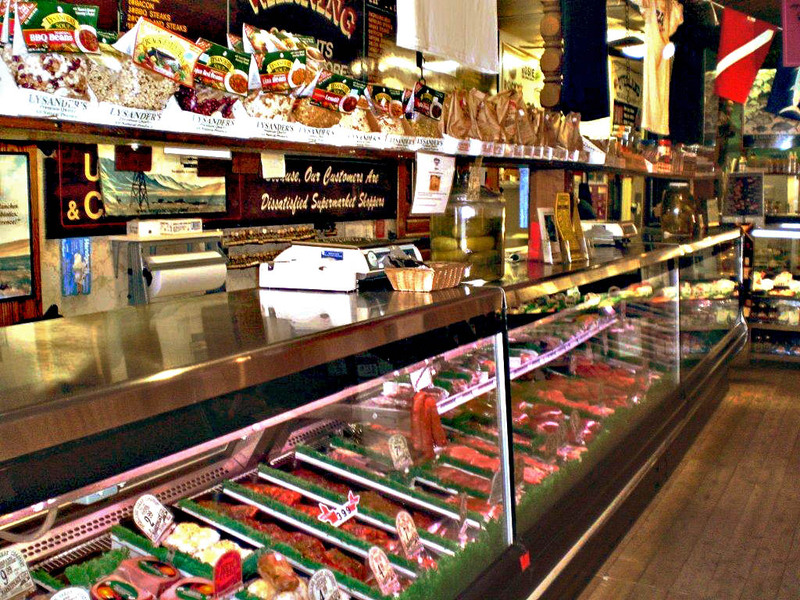 The store has numerous condiments and meat accompaniments. This is a one-stop shop to gather top shelf ingredients for an exquisite home cooked dinner. Once we shook the snow off our shoes and entered Overland, We were greeted by Brian Cohen the owner. He was very helpful and was interested in our quest. He explained that he has fresh seafood delivered by overnight UPS delivery on Fridays. The locals line up to see what the newest delivery will bring. He also makes a house Chorizo and Jerky. He does not cure his own bacon but sells “Falls Brand” from Idaho. 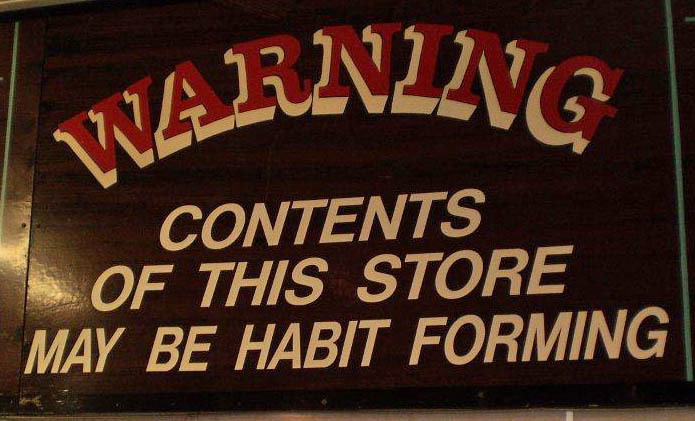 Brian has a very nice shop. 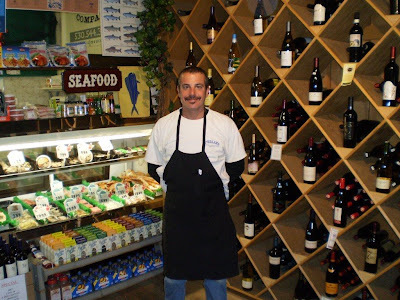 We witnessed customers approaching Brian to ask about the fresh seafood delivery. 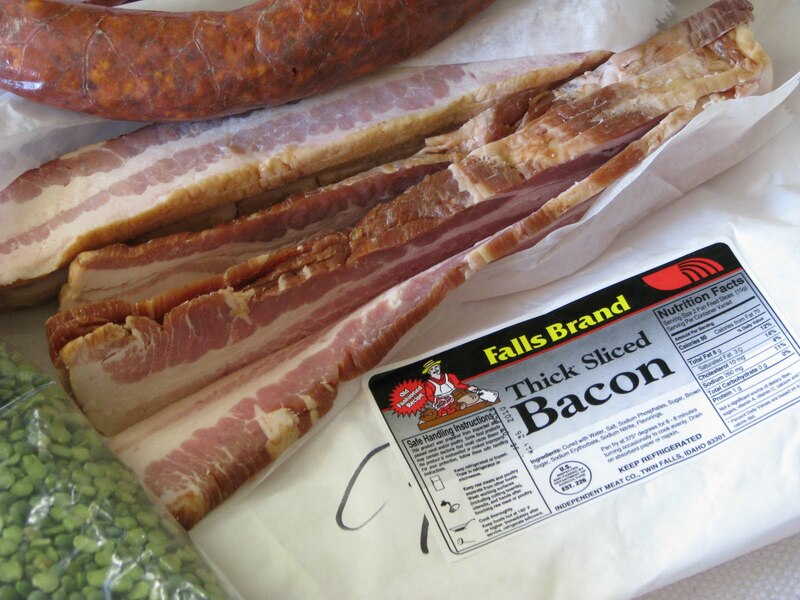 We made a purchase of some chorizo, jerky and bacon. This bacon looks very meaty. I wish our room had a stove. 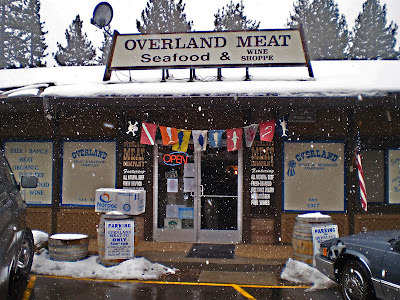 Overland Meat & Seafood would be our destination meat market if we were residents of the area. If we ever rent a cabin in the area we will defiantly be shopping here. Next stop is Carson City to visit Butler’s Meats. Sad to see so many small businesses failing - I wonder if the economy has gotten to them, or their locations just don't provide enough traffic? Glad you found some lovely stuff anyway! Go home! I want to hear about the bacon. One day I want to cure my own. Zoomie, Yes, very sad. I cried when A&B closed. cookiecrumb, This weekend we will be able to break out the bacon. Chris, It is very easy and rewarding to make your own bacon. Zia, defiant indeed! We are on a mission. A Year on the Grill, We love it too.